Parts Special Going On Now Through July 31st! Register now for Saturday, May 4th. Santa Fe Springs, Calif. — Sergio Lomeli, of Los Angeles, recently joined Continental Girbau West (CG West) as parts and warehouse assistant. Lomeli brings 22 years of experience to the distributorship. 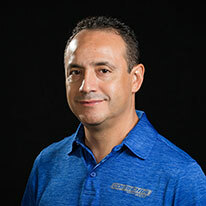 In his new role at CG West, Lomeli juggles multiple duties, including parts order processing, daily communication with customers, inventory stocking and organization, warehouse staging, and maintaining accurate inventory records, among others. To discover more about CG West call 866-950-2449. A subsidiary of Wisconsin-based Continental Girbau Inc., CG West serves the Southern California vended, on-premise and industrial laundry markets by providing equipment, parts, financing, service, warranty and training. Continental Girbau Inc. is the largest of 15 subsidiaries of Girbau S.A., based in Vic, Spain. Girbau S.A. laundry products – marketed throughout 80 countries worldwide – meet rigorous environmental and safety standards established by the International Organization for Standardization (ISO). Girbau S.A. holds both ISO9001 and ISO14001 certifications. Ever focused on laundry efficiency, Continental Girbau is a member of the U.S. Green Building Council (USGB), a 501(c)(3) nonprofit that developed the Leadership in Energy and Environmental Design (LEED) Green Building Rating System. Discover more about Continental at www.cgilaundry.com, or call 800-256-1073.